Your body needs good quality sleep, that is when it repairs itself, rests, rejuvenates, energizes and heals. So, what can you do when you toss and turn and can’t get any shut-eye? First, I would recommend that you see your doctor, difficulty sleeping can be the result of various health conditions. My sleep patterns drastically changed when I started menopause which contributed to adrenal fatigue and more sleep disruption. I was able to resolve those issues with herbal supplements, dietary and lifestyle changes, and sleep time rituals. The worst thing you can do when you can’t fall asleep is to stress about it, it will only drive sleep further away. Get up and follow one of these rituals, some of them will work like magic, some will take some time, and others might not work for you. Experiment and see which ones will be helpful. It will usually take a combination of a few rituals to make a lasting change. Chamomile tea is very relaxing and helps your body and mind drift into sleep. Have a couple of double strength (2 teabags) chamomile teas, one in the evening and another shortly before bedtime. It is best to avoid caffeine if you suffer from lack of sleep or at least to minimize it and only drink it in the morning. This ritual always puts me to sleep, fast! Lavender is another herb that helps induce sleep. Use it in an oil diffuser, dilute it with water and spray it on your sheets and pillow, or dab a drop or two behind your ears and on your wrist before sleep. A hot foot soak helps to draw the energy from your head to your feet, helping you feel more relaxed and less stressed. Fill up a tub with hot water, add a few drops of lavender essential oil and soak your feet for 5 minutes before going to sleep. Dry your feet and keep them warm by wearing socks. Being in front of a screen up until you go to sleep is one of the biggest reasons so many people are suffering from insomnia nowadays. Go on a media diet for at least 2 hours before sleep. Don’t watch violent and stressful shows at night. Read pleasant, relaxing, and nourishing books before sleep. A reading ritual in bed helps you leave your day behind and engage in a nourishing activity that will lull you to sleep. In Israel, where I grew up, in Europe, and in many other parts of the world, lunch is a big hot meal and dinner is lighter fare. If you are used to eating your biggest meal in the evening, switch it up. Have a smaller, lighter, and earlier dinner. When you go to sleep while still digesting a heavy meal, it will keep you up and will disturb your sleep patterns. Many women find that eating grains for dinner will also interfere with sleep because grains are energizing so experiment with eating grains earlier in the day and see if that works better. You know those drugstore hot water bottles, yes, those red rubber ones, well you can find them now in any color, shape, and size and many of them come with very cute covers. A hot water bottle, placed on your tummy at bedtime is like giving yourself a warm loving hug, it relaxes your center, it spreads pleasant warmth all over your body and it’s a great sleep aid. If you are sleeping in a room that is brightly painted with vibrant colors, if your linens have busy and colorful patterns and if your bedroom curtains are very bright you might be giving your senses a wake-up call when they need to wind down. Think soft colors, lavender, powder blue, creamy whites, colors that soothe and calm, and help induce sleep. Leave the vibrant colors to your kitchen, living room, and home office. Your bedroom is the place you sleep so avoid making it an “active” room and don’t work or exercise there. I highly recommend not to charge your phones, tablets, and laptops next to your bed and look at them right up to sleep time, allow yourself some screen-free time before bed. I like to sleep in a cool room, with an open window when it’s nice out, with the AC on when it’s sweltering. If the room is too hot, I don’t sleep well. My husband likes to be warmer, so he sleeps with a heavier blanket and I have a lighter one. Finding the right sleep temperature for your body is important, so experiment to see which temperature works best for you. Women who are going through menopause might need a cooler room with a light blanket so they can adjust as their body’s temperature fluctuates. There are many yoga poses that can prepare the body for sleep. I do the ‘legs up the wall’ pose every night in bed and it is very helpful. Yoga Nidra is another great yoga practice that helps you scan your body, and mentally relax every part. There are many YouTube yoga Nidra videos you can listen to before sleep. 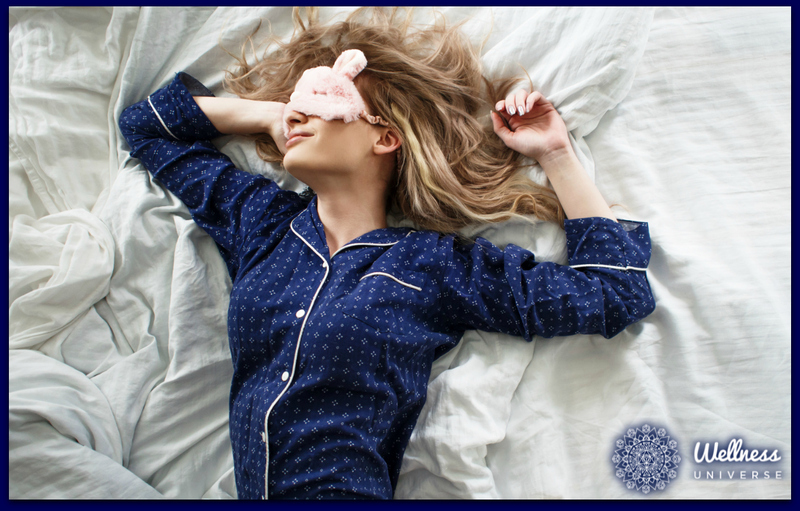 Remember that these rituals do not work like a sleeping pill and will not knock you out; they are gentle and work with your body’s natural rhythm and healing mechanism. Please practice them, give your body time to react and heal, and with time, patience and persistence you will notice better sleep and better health.